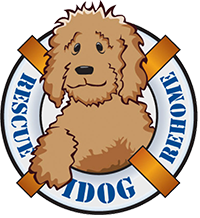 IDOG Rescue, Inc. is a national not-for-profit 501(c)(3) foster-based rescue dedicated to the protection of Labradoodles and Goldendoodles. IDOG Rescue has been operating in good standing as a 501(c)(3) organization since our creation in 2006. We have foster homes throughout the U.S.
We work with shelters around the country to ensure that doodles are pulled as quickly as possible. We also accept owner-surrendered doodles. We accept doodles regardless of color, coat type or heartworm status. Dogs with other medical issues or behavioral issues are considered based on our ability to treat and successfully place them. We offer our rehoming services to owners who need to find their dog a new home. We work hard to find a good fit where the dog and the adoptive family thrive. Click here for rehoming FAQs.